Tasmanian chaser Be Like Bill returns to Sandown Park tonight with his sights set firmly on the mainland riches. • Thursday night is Wings Night with TAB! Be Like Bill began his career in Victoria under the tutelage of Robert Britton, however after winning just one of his first 17 starts he was sent to Blake Pursell in Tasmania where he quickly established himself as one of the Apple Isle’s premier sprinters, winning 12 of his 25 starts and reaching the Hobart Thousand and Launceston Cup finals. However it was his scintillating last start win in 25.60 at Hobart – less than two lengths from the track record – than confirmed his ticket back to Victoria. Click here to see his brilliant Hobart victory. “My young bloke has done a good job with him,” said Blake’s father Brendan, who will look after the greyhound during his stay. Be Like Bill made the move to Tasmania in May last year before returning for a tilt at the Provincial Plate heats at Geelong in November. However he didn’t travel well and finished a well beaten fifth, so the camp will try a different tactic this time. “The dog is good enough, it just seems that when he goes away he loses the plot a little bit so we’re going to try something different this time. We brought him over the night before to see if he settles better that way. “He (Blake) is thinking about the Warrnambool Cup with him so he’s brought him over to see how he handles the travelling and how he stacks up to the competition here. The dog is flying over there, he should be good enough over here. Be Like Bill is winless in 11 starts at Sandown Park but has been placed on five occasions. However Pursell is cautious about his chances tonight. TAB opened Be Like Bill an $11 chance to win race 9. Here are Pursell’s thoughts on his other runners on tonight’s card. Click here for your free form guide for tonight’s meeting. 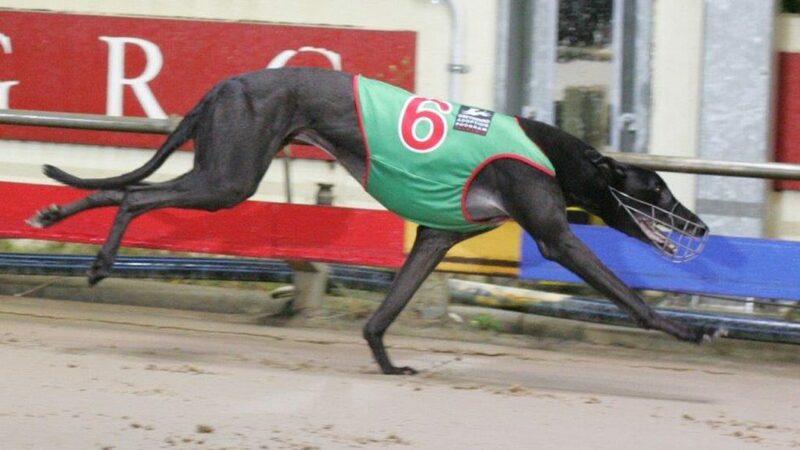 Follow @sandowndogs on Twitter for trial times as it happens. Thursday night is Wings Night with TAB! Place a Fixed Odds win bet on Races 1-2 at Sandown, Dapto & Albion Park on Thursday Night. If your dog runs 2nd or 3rd, get a Bonus Bet back up to $50*.